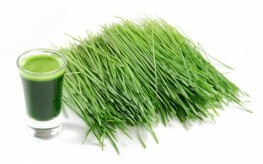 Barley grass may seem like the food of tree-huggers, but it is one of the most nutrient-dense foods on the planet. While you can get these nutrients from a multiplicity of foods, it is rare to find them all in one place. This also means that when they are consumed together the bioavailability of each vitamin, mineral, antioxidant, and phytonutrients is increased. Barley grass offers a power-house of nutrition that can help your overall health in surprising ways. One study published in the Journal of the Pharmaceutical Society analyzed barley grass in the form of a tea. The researchers found that barley grass is anti-ulcer and has high levels of amino acids. One of the key components making young barley grass so beneficial is known as superoxide dismutase (SOD), an enzyme able to demolish free radicals in your body. Free radicals are talked about among many experts, and they are considered to be a primary reason for premature aging and disease. They damage cell membranes, the cell mitochondria, and even your DNA. Young barley grass helps to radically reduce free radicals, stopping the chain reaction of oxidation which causes the death of healthy cells. What’s more, another study conducted in New Zealand found that increased SOD was very effective at reducing high LDL cholesterol, or ‘bad’ cholesterol. And yet another study showed that high levels of SOD were effective in treating cancer. In fact – all tumors found to date – in any type of cancer were found to be low in superoxide dismutase! Young barley grass might just be the answer to increasing your body’s ability to fight off free radicals and prevent cancerous tumors from ever growing at all. Help those with chronic pancreatitis. So are you saying its useless to consume barley grass? Many nutrients are absorbed before they ever make it to the stomach. Especially those from juices, or so is my understanding.